The occlusion of a large cerebral vessel can derive from various sources such as cardiac embolism, atheroembolism, local cerebral arterial thrombosis or paradox embolism. Establishing the aetiology of stroke is relevant for secondary stroke prevention. 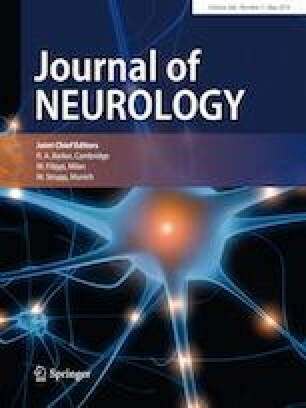 Unfortunately up to a third of ischemic strokes remain classified as cryptogenic, despite extensive clinical workup [1, 2]. Since the recent approval of mechanical thrombectomy, cerebral thrombotic material has become a valuable clinical specimen. While research studies are thriving about quantitative rates of main thrombus components as the signature of aetiology, qualitative histopathological examination remains an invaluable tool in the diagnostic workup . We here report a case of acute middle cerebral artery (MCA) stroke treated with an endovascular procedure, in which histological analysis of the thrombus allowed the aetiological definition. The authors declare no dedicated funding for the present work. Patients’ consent to analyse, process clinical data and images and to publish anonymous data was obtained.